First let's take a few minutes just to stare at the gorgeousness that is that cover! It is stunning! This would be the type of book that would call to me from across the aisles of a book store, begging me to pick it up, pet it, love it, read it. I wouldn't even have to look at anything else and I would be walking out of the store with this book in hand based on the cover alone. A whole lot of cover love going on over here right now. Grace Mae has been handed over by her father to an insane asylum in Boston. He sends her there willingly, secretively, and without a second thought because he IS the reason she is being sent away. Grace Mae is far from insane, she is just unlucky enough to be her father's daughter and a woman in the late 1800's. She is in fact a highly intelligent girl with a photographic memory and the sort of mind that sees the smallest of details and is able to sort out the puzzle that is the bigger picture. If you are not familiar with the workings of asylums in the 19th century you should know that these are not places of rest or healing. Most asylums were the stuff of nightmares, the staff likely more insane than the patients and for Grace Mae this is what she finds in her Boston asylum. The brutality and living conditions disturbing, the active cover up being perpetuated by the asylums director and staff appalling, and the behavior of the staff disgusting. Techniques used during this era in many asylums (not all as we will see) to 'heal' the 'insane' are little more than torture. After a disturbing instance of man-handling by the Director and it's aftermath, Grace is sent to be 'calmed' (more aptly, punished) and then tossed into the dank cellars, hidden away from the eyes of the asylums benefactors. This banishment however leads Grace to find a new friend who through the darkness senses her quick mind and her lack of actual insanity. Falsteed, whose own insanity is 'questionable' (he was truly an interesting character for me, one that I could ponder over for ages) sets upon a plan to save Grace, although the outcome of his plan isn't quite what he was looking for. Falsteed saves Grace by placing her in the path of Dr. Thornhollow (think Bones) who finds that Grace could be the perfect companion in his obsessive quest to understand the mind of murderers . I don't want to give all the details of the book away, it like many mysteries is full of small details and unexpected twists and turns that keep you coming back to find out what will happen next. Every page is a new development and concept to be explored. I loved the friendships that Grace develops, the strength of the bonds these women build together. Nell and Elizabeth are at times bits of fresh air in a deeply dark story and while you know this can't end well for everyone in the story, the moments of friendship lighten the heart of the reader. Mindy does a truly superb job developing her characters and practically painting us a portrait of life in the 1800's. I can not even begin to fathom the amount of research Ms. McGinnis put in to bring this book to life or how 'lost' I imagine she would have become in it. I love the idea that the line between sanity and insanity is thin and breakable. "'I would argue there is no difference at all," Thornhollw said. "To me the insane are simply people who have chosen not to participate in the world in the same manner as the majority, and there are days I don't wonder if they've got the right of it.'" Yes, true insanity exists and of course in today's day and age it may be difficult for us to fathom the thought process that went on int he 1800's. Insanity then truly was a very thin line and in cases not a question at all but more of a punishment for something seen as unacceptable or used as a cover up. You have to wonder how many of us would have been considered insane. Reading this book is like watching a movie, it is all laid out beautifully, I can see it playing in my head as if I were watching it on a screen. In fact I would love to see this book made into a movie, a Sherlock Holmes with a twist and empowering to girls. I know you are thinking "What, empowering to girls'? She was put into an insane asylum basically for being a girl and you are saying it is empowering?" Yes, yes I am. Grace stands up for herself, she fights against a male-centeric society, she pulls herself from the depths of hell (with the help of others, in particular her two female friends) to find a strength that she'd always had but never realized. The one thing I was missing and it is both a curse and a blessing... a blessing because I truly don't think the book needed it and I really do appreciate that it wasn't there, but...a curse because I am a romantic at heart and I missed a bit of romance. Being the romantic that I am I see love everywhere I turn in books and I kept waiting, but alas it was not to be. Like I said however it doesn't take anything away from the book, this is strictly a 'Malissa needs all the romance' issue. I think this is a fantastic book for any mystery/thriller fan. It is a Young Adult novel, but could easily pass a simply Historical Fiction. If you like Sherlock Holmes, Criminal Minds or Bones I think you may enjoy this. If you are a fan of author Eric Larson, I suggest giving this a try. While this is a fiction novel and he writes non-fiction it has a similar feel to his books that I personally enjoy. 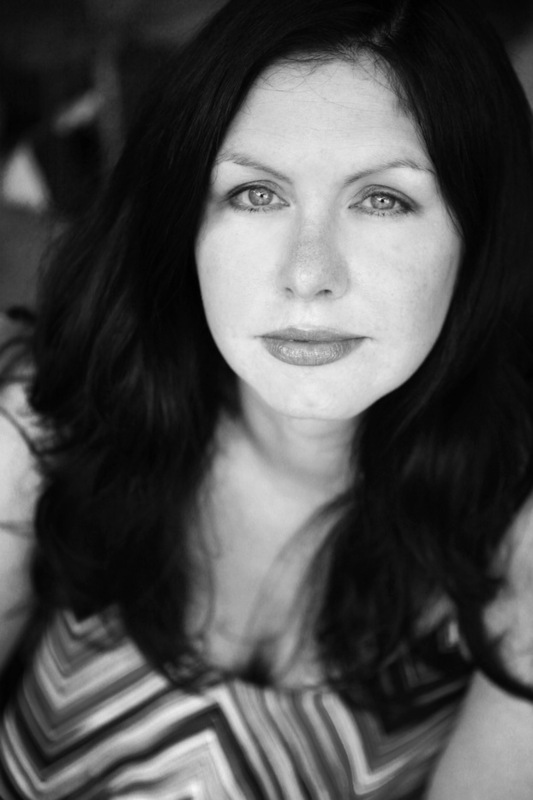 Mindy McGinnis is a YA author who has worked in a high school library for thirteen years. Her debut, NOT A DROP TO DRINK, a post-apocalyptic survival story set in a world with very little freshwater, has been optioned for film my Stephanie Meyer's Fickle Fish Films. The companion novel, IN A HANDFUL OF DUST was released in 2014. 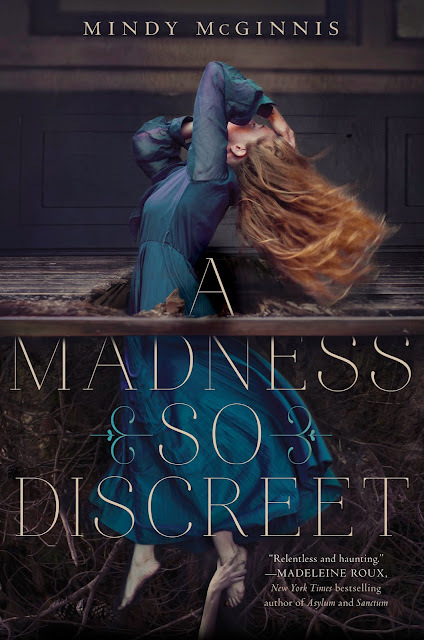 Look for her Gothic historical thriller, A MADNESS SO DISCREET in October of 2015 from Katherine Tegen Books. Mindy is represented by Adriann Ranta of Wolf Literary. One Winner Will Receive a Harper Teen Horror-themed prizepack! You are welcome, and yes it is such a great cover. I wasn't kidding when I said I would pick this book up just because of it. Luckily I wouldn't be disappointed in what was between the cover if I'd gone in knowing nothing but that it was gorgeous, haha. I hope you will read this one.